The death toll in the building collapse at Dharwad in north Karnataka touched three Wednesday with one more body being pulled out of the rubble, police said. Rescuers have so far pulled out 56 people from the debris of the four-storeyed under construction building, which collapsed Tuesday evening at Kumareshwaranagar in the heart of Dharwad, about 400 km from here. Police said rescue operations have been intensified to extricate 30 people believed to be still trapped beneath the debris. 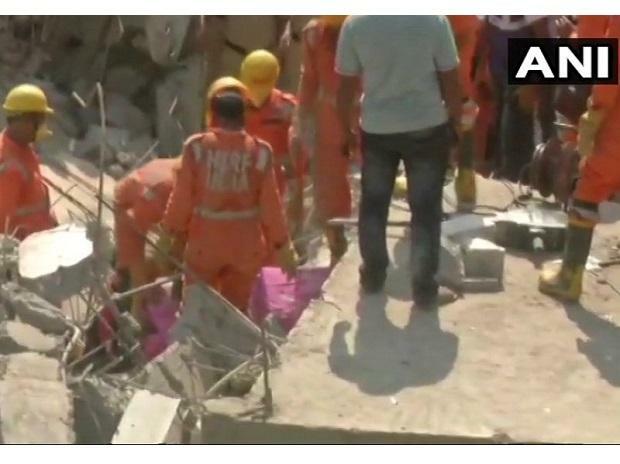 "Two more teams of #NDRF are being airlifted from Ghaziabad in addition to one team which was moved from Bangalore in connection with Dharwad building collapse," the NDRF tweeted. "The builders had used substandard materials," he told reporters Tuesday.